Printed on beautiful softly flowing linen viscose, the glorious colours of our Glory Be II (a reincarnation of our original Glory Be!) earn it its name. 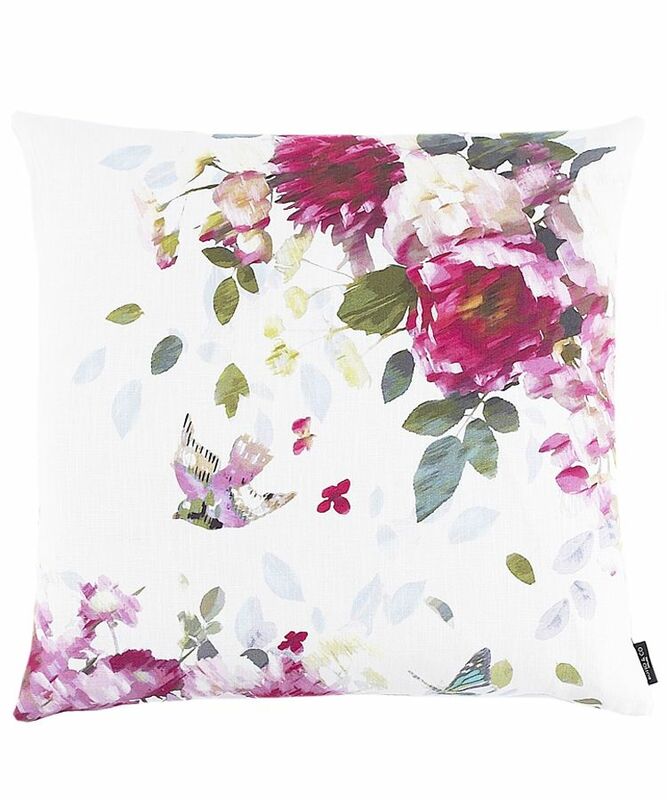 Featuring parrots, small birds and butterflies flying through the flowing flowers and leaves. Self-backed - feather pad included. You save £8.00 that's 22% off!